IBM's Power8 is the latest in the continuous evolution of the IBM Power processor. Find out how the Power8 compares to the Power7 series systems. ExaGrid is a cost-effective and scalable disk-based backup solution that works seamlessly with your existing backup application. ExaGrid’s innovative approach minimizes the amount of data to be stored by providing standard data compression for the most recent backups, along with byte-level data deduplication for all previous backups. Ask a HiComp rep about all of our Tape-free Backup Solutions. Implementing encryption technologies helps to protect corporate data. HiComp has solutions for tape encryption, laptop, desktop and server hard disk encryption, database field-level encryption, file and folder encryption, storage-based data-at-rest encryption, in-transit encryption and encryption key management software to manage and organize all of your encryption keys. Hosting solutions are a way for companies to take advantage of the economies of scale of large datacenters managed by hosting providers. HiComp has partnerships with some of the largest cloud hosting companies. From Infrastructure as a Service (hosted servers, both physical and virtual), to Software as a Service (hosted applications such as Exchange and Sharepoint) our hosting partners are the best in the business. 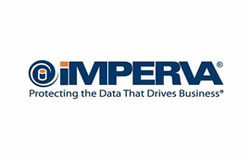 HiComp has partnered with Imperva to bring their security solutions to our clients. Imperva fills the gaps in traditional security by directly protecting high value applications and data assets in physical and virtual datacenters. Web Application Firewall, File Security and Database Security solutions provide a virtual force-field around your most sensitive corporate data assets, verifying user rights before releasing data and creating audit trails of user access to select file and database information. Imperva's SecureSphere Platform goes beyond Intrusion Prevention and gives you the tools to protect data even if your firewall vendor allows an unwanted intruder into your system. HiComp has partnered with IBM/Softlayer to be able to offer business-class cloud hosting services to our customers. You can also click HERE to download the HiComp Guide to Using IBM/Softlayer Storage for Offsite Backup. We also offer a FREE Cloud Assessment to help you determine your cloud readiness. Copyright 2014 . HiComp, LLC . All rights reserved.